Can we be commanded not to covet? No one understands better than the Jew that God is the foundation not only for behavior – how we are to act in the world – but also for morality – how we are to be in the world. And, while the two, action and being, are intimately entwined it is the being, the morality of how God would have us live our lives that takes precedence. How can I be so certain in my assignment of precedence in this matter? Because our Jewish view is that our actions have meaning. We are not accidental creatures in an accidental world, searching for some artificial construct that we can call “meaning”. We are created in the image of the Divine, with the breath of the Divine within our souls. Because of this divinity, this intrinsic holiness, each and every thing that we do, from the most sublime to the most base, has the potential to be infused with that holiness. God is, therefore we are. God instructs us as to what is appropriate and what is not. The choice of which to do, of how to act, is our own. God tells us how to behave; the “why” of our behavior, the morality, comes first because God comes first. Even in God’s most powerful “to-do (and not-to-do) list”, the Ten Commandments, God makes clear the primacy of our morality. Even the most “non-religious” person has a ready knowledge of these commandments. Indeed, the non-religious person will likely point to the list and see a universality to the list which, to him, actually suggests these behaviors are not God-driven but man-driven. Eight commandments are focused specifically on reasonable behavior that, in sum, leads to the communal good. Not to work on the Sabbath… to honor… not to murder, commit adultery, steal or provide false witness. Each a statement of behavior; what to do, what not to do. However, the non-religious person is on decidedly weaker ground when we consider the first and last of the commandments. In these two commandments, something is very different. And it is precisely in how the first and last of the commandments differ from the other commandments that they establish why we are a moral people before we are an ethical people. God is. This is the foundation of our morality. But, not to covet, to not be jealous? Why does this law speak to our morality rather than our behavior? It would seem that jealousy is fundamentally human. I want! I want! And if my neighbor has it, I want it even more! To want is the most natural thing in the world. How can Torah forbid jealousy? These two commandments, the first and the tenth, teach us that the body of Jewish law, is couched with the spirit and soul of Jewish belief and thought. A true Jew not only acts and behaves Jewishly but he also thinks Jewishly (morally) as well. He must be moral. It is forbidden to take something belonging to another but even moreso, it is forbidden to desire it in one’s heart! How does one not desire? Torah is nothing if not practical. Even if desired, theft, kidnapping, and murder can be restrained. But desire? Desire is a flame in one’s heart, flaring unbidden and unrestrained. How does one not desire? Ironically, or insightfully, it is precisely this prohibition which most clearly characterizes the Jewish, Godly aspect of the Ten Commandments, and places morality before us as our primary posture in the world. The Ktav V’Hakabalah explains that the Torah, which expects that we “love God with all our heart,” intends to have us use all of our thinking powers and capacities in the pursuit of God; good, decency, honesty. To love God with all our powers means to use our minds exclusively for that which God would approve and condone. To covet is to use our thoughts and emotions to obtain that which is not Godly, and therefore unattainable. In other words, Judaism teaches that a person may not contemplate or desire that which he may not attain or that which is forbidden to attain. Understood this way, it is clear that “not coveting” is a matter of training and discipline no different from not committing any other act. The Torah’s intention is to train the Jew that what is forbidden and prohibited is unattainable and therefore unthinkable. The same individual who can be trained not to murder, steal, or commit adultery can be trained not to covet. Whatever is unattainable and is not yours, the Torah says, you cannot have. Therefore, don’t desire it, or even think about it. Rabbi Soloveitchik zt”l taught that, “Coveting is an emotion, a feeling… one can be called upon to exclude an emotion in the same way one must abstain from an act which is considered unworthy.” He noted that every morning we recite three b'rachos of identity. God placed our souls into our bodies, determining for us our religion, our gender, and our social standing. In short, God determined our identity. We praise Him as the One “she’asa li kol tzarki”, who made everything required for me to realize my potential. In our blessings, we see ourselves in God’s image. If we look to God, we see ourselves as reflections of the divine, free of the desire for more. When R’ Moshe Sofer of Pshvorsk, a disciple of the Magid of Mezritsch, died he left behind three pairs of Tefillin that he himself wrote. R’ Mendel of Kotzk sought to buy one set of these Tefillin for himself even though the asking price was astronomical. 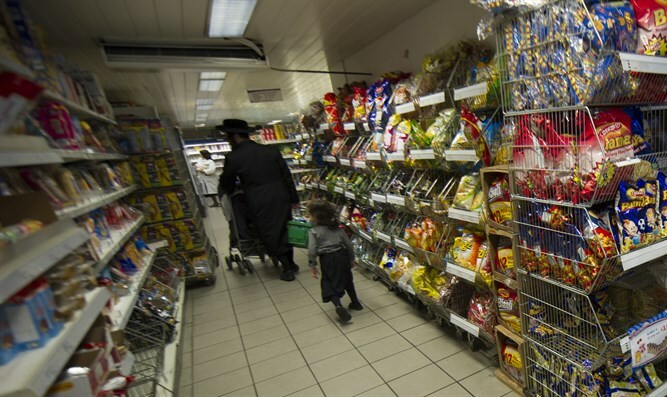 He gave his entire savings to a local hasid with the instruction that he buy and bring him one of the pair. Even the holy, coveted, is reduced. R’ Yechiel Michel of Zlatchov said that “not to covet” is more than merely a prohibition; it is also a promise, an outcome. One able to think in Godly terms, who identifies with God’s values and standards, will never covet. It is a matter of perspective – do you look at God or at yourself? To look primarily at oneself is to always want more, to covet. But to look at God and measure a life by His standards? The command to not covet is a command to develop a spiritual mindset, to develop a way of viewing everything around and about oneself in Godly terms. If you can do that then it is not coveting rather than coveting that is the most human thing of all.